Twitter has been host to brand responses to the NASA New Horizons spacecraft flyby past Pluto on July 15. NASA tweeted that Pluto sent a love note back to Earth via @NASANewHorizons, the last image taken before today’s #PlutoFlyby. 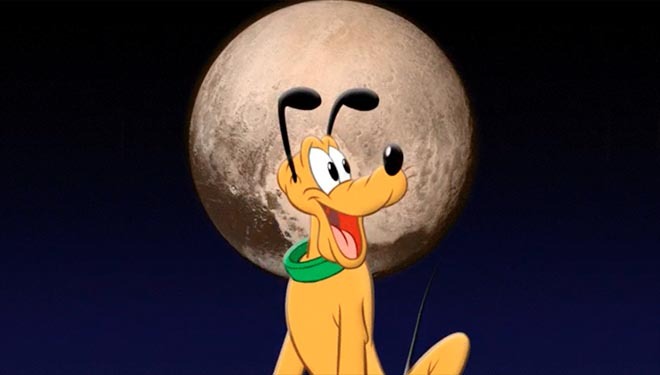 Disney superimposed the profile of the Pluto cartoon character on the demoted planet. “There’s no pup more stellar than Pluto”. We’ve included here tweets from Rowntree’s, State Farm, Audi, Skype, Dunkin’ Donuts, Playstation UK, Berocca UK and Bioware.